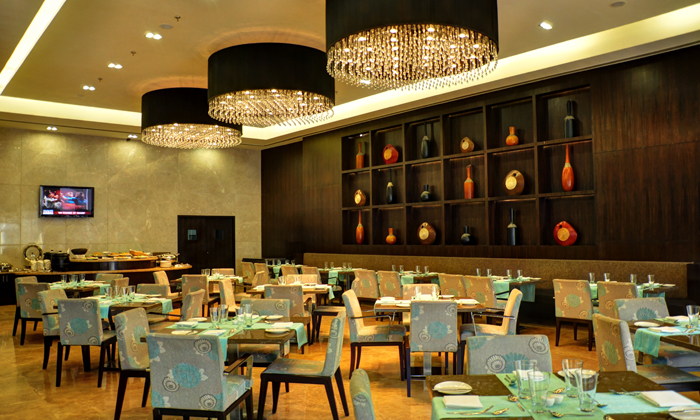 Experience luxury fine dining at Prana, the in-house restaurant at Mansarovar - The Fern Hotel in Begumpet. The restaurant exudes class and elegant with it's plush and spacious seating, marble flooring and magnificent chandeliers. Led by a team of skilled chefs, they serve delicious dishes from North Indian, South Indian and Continental cuisines. The chefs here use only the freshest ingredients for all the preparations and pay special attention to the quality of food served. Be it a formal business lunch or a dinner with family, this restaurant is ideal for any occasion.